Park Lane operate in the jewelry MLM niche and have been around since 1955. In 1955, the company’s co-founders, Arthur and Shirley LeVin, started their business based on the philosophy of sharing and caring. Today, the second generation of LeVins, inspired by the values and success of the first five decades, has taken the company to greater heights with the same sense of commitment, pride, passion and heart. Park Lane today operates out of Illinois, the same state the company was founded in. While there are “field executives” featured on the Park Lane website, curiously there’s no detailed information about any of the LeVins. With a bit of Googling I was able to ascertain Park Lane’s CEO is Scott LeVin. Unfortunately Arthur LeVin passed away in 2013. I wasn’t able to confirm Shirley’s death so I believe she’s still alive, albeit not actively involved in the running of Park Lane (due to her age likely for some time). 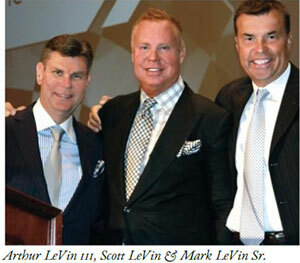 Being the son of Park Lane’s founders, Scott LeVin continues the family business. I believe some of the LeVin’s grandchildren are also involved although I’m unsure in what capacity. 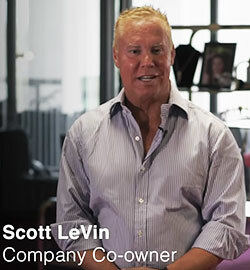 A Park Lane marketing video cites Scott LeVin as a co-owner of the company. Siblings Arthur and Mark LeVin are also cited as a Park Lane co-owners. On the legal front Park Lane has a pretty clean bill of health. There are a few infighting lawsuits but nothing major. One of the LeVin’s sons, Ryan LeVin, was involved in a hit and run back in 2011. A followup article in 2015 suggests he has made significant life changes after the experience. To be clear, this is not directly tied to Park Lane. I am however including it as in the 2011 article Ryan is cited as “the heir to a jewellery empire”. Read on for a full review of the Park Lane MLM opportunity. Park Lane markets an ever-changing range of what they call “fashion jewelry”. Full retail pricing of the current catalog is provided on the Park Lane website. A digital copy of the current catalog is also provided, which I believe is refreshed annually. Where and by whom Park Lane jewelry is manufactured isn’t disclosed, however the company states its jewelry is made ‘to strict specifications with high quality materials‘. 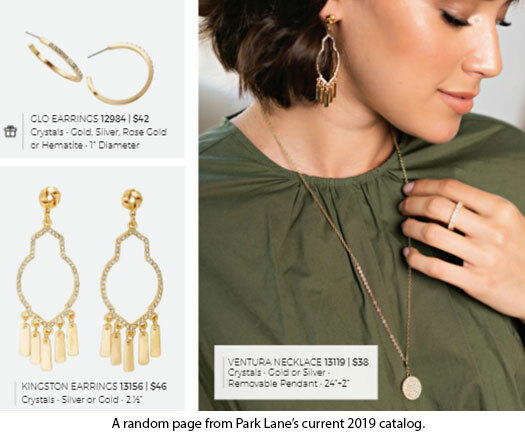 Perusing through the catalog, most of Park Lane’s jewelry seems to be priced at less than $100. Each range does have pieces that are more expensive though; bracelets go up to almost $300, some necklaces are $400+, earrings max out at just over $200 etc. While the majority of Park Lane’s offering is targeted at women, there’s also a modest men’s range (the company is quick to point out women might enjoy the men’s styles too). I’m not a big jewelry guy but some of it looks alright. The Bravo sterling silver ring for $84 caught my eye. Gems used in Park Lane jewelry are Swarovski crystals and cubic zirconias. Finally, each Park Lane jewelry piece is sold with a 120 day return or replace guarantee. There are seven affiliate ranks within the Park Lane compensation plan. Double promotion is possible from the Branch Director rank, allowing a Park Lane affiliate to jump two ranks at a time. PV stands for “Personal” Volume and in Park Lane is counted as retail sales only. GV stands for “Group Volume” and is PV generated by an affiliate and their entire downline. In order to count towards recruited affiliate criteria for rank advancement and bonuses (unless otherwise stated), recruited affiliates must generate at least $1000 PV in retail sales within four weeks of making their first sale. Note that in order to meet qualification criteria, held shows (home parties) must generate at least $200 in retail customer orders. Finally, with respect to Company Vice President, while rank qualification criteria is provided, specific commission and bonus rates are not. If there are any differences in commission and bonus rates between Sales Vice President and Company Vice President, I haven’t included them because they aren’t in Park Lane’s publicly available compensation material. In order to qualify for commissions, each Park Lane affiliate must hold at least two shows a month, or alternatively recruit a new affiliate. In order to count toward commission qualification, held shows must generate at least $200 in retail sales. Just a note on the assumptions: Higher ranks don’t have specific retail commission rate criteria, but do state higher commission rates are possible. Given the lack of additional criteria provided, it is assumed previous rank criteria applies (and must be maintained where applicable). Commission overrides are essentially a matching bonus on PV generated by personally recruited affiliates. Region Managers earn a 6% override on personally recruited Fashion Director PV and 6% on Brand Director GV. Area Managers earn a 10% override on personally recruited Fashion Director PV, 6% on Branch Director GV and 3% on Region Manger GV. Division Managers earn a 15% override on personally recruited Fashion Director PV, 8% on Branch Director GV and 5% on Region Manager GV. the affiliate qualifying for the override holds at least six shows a week. Also Division Managers can earn a 3% override on second and third generation Area Manager GV if the affiliate qualifying for the override holds at least twelve shows a week. Note that generations above refers to unilevel team levels. That is affiliates you recruit are on your level 1. Affiliates they recruit are on your level 2 (second generation) and affiliates your level 2 recruits are on your third level (third generation). Senior Division Managers earn a 15% override on personally recruited Fashion Director PV, 8% on Branch Director GV, 5% on Region Manager GV and 3% on Area Manager and Division Manager GV. Sales Vice Presidents earn a 15% override on personally recruited Fashion Director PV, 8% on Branch Director GV, 5% on Region Director GV and 3% on Area Manager, Division Manager and Senior Division Manager GV. Note the difference between being paid overrides on PV and GV. A PV override is a percentage of sales volume generated by a personally recruited affiliate. A GV override is a percentage of sales volume generated by a personally recruited affiliate and their downline. Region Manager and higher ranked Park Lane affiliates qualify for a weekly bonus on downline generated GV (excludes affiliate’s own PV). There are no Weekly GV Bonus amounts provided for Area Manager or Division Manager, so it is assumed they earn the same Region Manager rates. Region Manager to Senior Division Manager Park Lane affiliates can qualify for a Weekly Activity Bonus. To count towards Sales Vice President Weekly Activity Bonus qualification criteria, added affiliates must generate at least $200 in weekly PV. Area Manager and higher ranked Park Lane affiliates qualify for an Annual Bonus, based on “Central Area” volume generation. Park Lane compensation material doesn’t define what Central Area GV is. Whether it pertains to downline Area Manager volume or a geographic restriction in volume is unclear. Division Managers and Senior Division Managers qualify for the Monthly Recruiting Bonus. If a Division Manager’s downline grows by ten newly recruited affiliates in a month, they receive a $500 Monthly Recruiting Bonus for that month. Note that affiliates recruited by downline Area Managers do not count towards Division Manager Monthly Recruiting Bonus qualification. Monthly Recruiting Bonus qualification criteria increases to twenty newly recruited affiliates in a month for Senior Division Managers. Sales Vice Presidents require thirty recruited affiliates a month. Area Manager recruitment appears to count towards the Monthly Recruiting Bonus for Senior Division Managers and Sales Vice Presidents. Note that in order to count towards Weekly Recruiting Bonus qualification criteria, recruited downline affiliates must generate $200 or more PV in the week they were recruited. Senior Division Managers are paid the same $500 Monthly Sales Bonus, based on a flat qualification of $15,000 GV and/or PV a month. Branch Director and higher ranked Park Lane affiliates can qualify for a monthly $700 Car Bonus on a white Mercedes-Benz lease. Affiliates who don’t want to lease a car can alternatively opt for a monthly $500 cash payment. Park Lane affiliates have 25 weeks to qualify for the Six Month Super Start Bonus. Park Lane affiliates who satisfy the above qualification criteria receive a “Heart of Park Lane 14 kt gold sparking diamond and garnet ring”. Park Lane affiliate membership is $39 plus the purchase of a start-up kit. Being they market and sell jewelry, there’s a temptation to instinctively compare Park Lane’s offering to boutique jewelry offerings. Based on what I’ve seen in their marketing material and catalog, Park Lane aren’t targeting this market. “Fashion jewelry” is mostly pieces you can wear every day, as opposed to more expensive jewelry for special occasions. Park Lane are open and up front about this, and that’s mostly the market they’re targeting. As a Park Lane affiliate, that’s also what your focus market is going to be. Off the bat Park Lane exhibit their focus on retail sales by counting retail orders towards PV only. Most MLM companies include affiliate purchases, paving the way for autoship recruitment. There’s none of that in Park Lane. If you’re not making retail sales (through shows or otherwise), you’re not going to qualify for commissions. On the topic of shows, they’re what Park Lane refers to party style marketing as. Party style MLM marketing is where you host a marketing event at your house, someone else’s house or a venue, and typically invite a warm market. You present your products with the hope of taking retail orders from those in attendance. Some people love party plan marketing, some people hate it. A common backlash towards the model is people being lured to parties under false pretenses, and then feeling pressured to purchase. This can be the pitch itself or the feeling of abuse of social/family connections to those who attend. Be aware of this as a potential marketing obstacle. Recruitment is also an inevitable part of party marketing. By all means adapt examples Park Lane provide but don’t copy them verbatim. a Ticket Game – with passion and excitement! At the start of the ticket game I hand out 3 envelopes. The envelope marked “#1” contains $150 worth of play money. The envelope marked “#2” contains $300 worth of play money. The envelope marked “#3” contains $650 worth of play money. I then say, “Ok, I’m going to give you an opportunity to ask me anything you’ve ever wondered about how this type of business works. Now, I want you to know that I realize this business is not for everyone, but I do know it can be for anyone. At the point in the game when someone asks “How much do you make?” I say “that is a great question. After they count the money and share the amount, I then say “a new fashion director with Park Lane can make $150 a week for showing the jewelry one time. 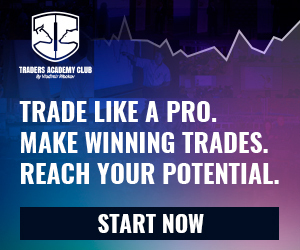 This is where the magic happens – let them answer! They are selling themselves and each other on how our business could benefit them or someone they know. After they count the money and share the amount, I say “a Park Lane leader with only 6 team members can make $650 a week. This is most powerful. This is real money and can be life-changing money for so many! I end the game with “let me ask you a question…. If your children came to you and said they wanted to try soccer, dance, or karate you would never say ‘you can’t do that’. No, you would say try it – you never know if it’s for you unless you give it a try. If it isn’t for you, you never have to do it again. Give yourself the same advice – give this business 1 month – show the jewelry 5 times. The worst thing that could happen is you have a ton of jewelry, a wallet full of money and the satisfaction that you tried. The best thing that can happen is that you realize that Park Lane is a perfect match”. I then finish with drawing a ticket and presenting the winner with a small prize or piece of incentive jewelry. Generalized approaches to business presentations at party events can come off as tacky. Your audience isn’t going to be as receptive as marketing materials will have you believe, so you need to be able to adapt accordingly. Park Lane’s volume requirements are PV and GV, same as any other MLM company but they do specify show quotas. In addition to shows PV and GV can be created via direct and online retail sales, so I’m not sure how much holding a specific number of parties is. From a company perspective I suppose if PV and GV is met it shouldn’t be much of an issue. The Park Lane company culture however is very much geared towards party promotion, so if that’s not for you then look elsewhere. One final note on PV and GV was Park Lane often interchanging the two. I thought this was a nice touch as it can balance out an affiliate’s production if they’re having a quieter week/month. By combining the two for certain volume qualification, affiliates can rely on their downline volume and vice-versa. The effect is commission qualification is a bit more stable, as you’ve got two streams of volume to build and rely on instead of just one. For new Park Lane affiliates generating $1000 in retail PV within four weeks might be a bit of a stretch. The company expects new recruits to hold at least two shows a month, so you’re looking at a minimum $500 per show. Less if you sell outside of the shows. One thing I didn’t understand was why when, existing Park affiliates advance in rank, often their qualification criteria increased but the bonus/commission amount remained the same. The free jewelry bonus is a good example of this, wherein Sales Vice President qualification criteria increases for the same benefits. I get that higher ranked affiliates should be able or working towards meeting higher qualification criteria, but shouldn’t the bonus amounts increase too? One broad note on Park Lane’s compensation plan presentation is that it could definitely be expanded on. As someone who routinely reviews MLM compensation plans, I appreciated the compactness. That said I can’t imagine affiliates new to the business making much sense of what’s provided. Central areas… any existing Park Lane affiliates in the know want to explain that one to me? Those issues aside, if you set your expectations and target demographic accordingly, Park Lane is a pretty well-rounded out and balanced opportunity. I’d of course expect nothing less from a sixty-four year old company, but it’s good to see they’ve avoided the complication pitfalls that often befall established MLM companies.